After seeing the Dr this arvo, I decided to kill some time before meeting the boy for dinner by doing a quick browse at Pitt St Mall. 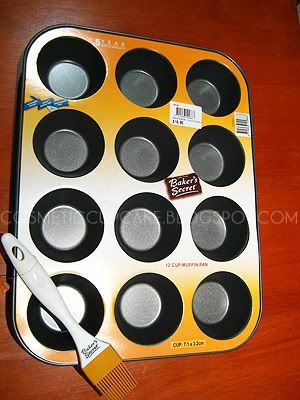 My sis has been bugging me for aaaaaages to buy her a new muffin tin so I thought I would finally get her one. I went to Myer and what do ya know - they had 30% off all bakeware! I didn't get anything special, just a simple 12 cup muffin pan and a basting brush as extra little something. I 1st saw these at T2 and sooooooooo wanted one but I refused to pay $29.95 for a plastic jug. 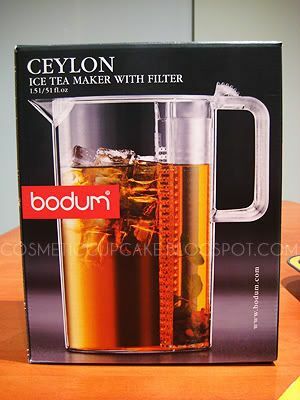 I'd checked out Victorias Basement a while ago since I know they stock Bodum goods but alas they didn't stock this particular item. 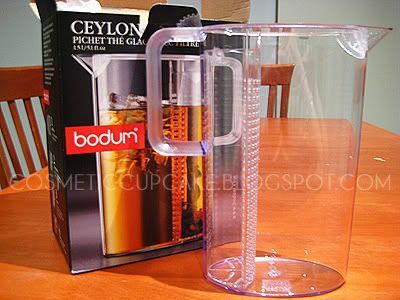 As luck would have it, Myer has 30% off all Bodum tea and coffee stuff atm!! The RRP at Myer is slightly more at $32.95 but with the 30% it only came to $23.10!!! Now I can properly present my fruity iced teas yay! The boy and I had a quick dinner at Umi in Chinatown tonight. We had wanted to go to Wagaya where you order things via touch screen but as always they were booked out. Umi however, is always a great backup. 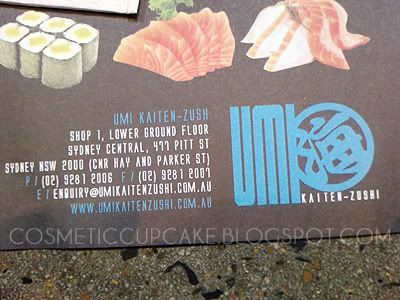 Umi is a sushi train but also has a la carte menu items which we usually go for. 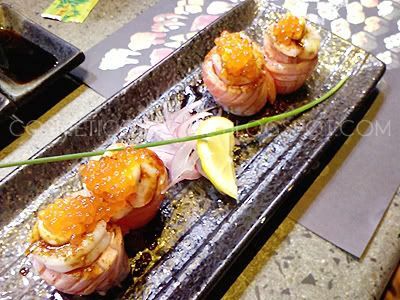 The food is always fresh and extremely yummy, however it is a little exxy so it comes under the "once in a while restaurant" for me. I started off with one of my favourites tuna nigiri from the train. 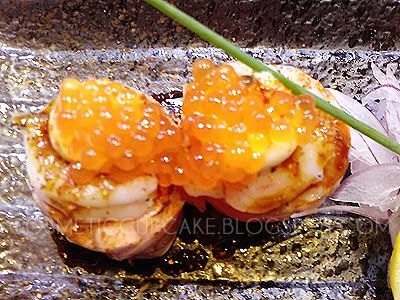 We then had one of the specials of the month "salmon and prawn rolls with salmon roe" or something. Kingfish carpaccio - another one of my favourites mmmmmmm. 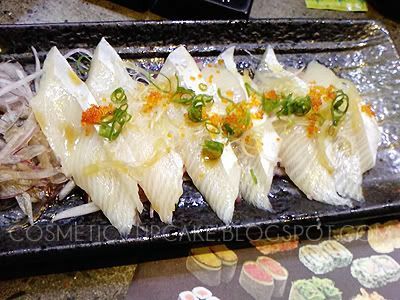 The dressing is tangy and combined with the crunchy roe, onions and kingfish is sooooo good. 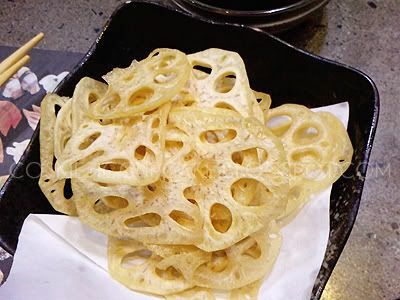 Lotus root chips - Hmmmm another one of my favourites! We seemed to be getting all my favourite dishes tonight =p I devoured 99% of these myself as they're "full of carbs" which was fine by me! 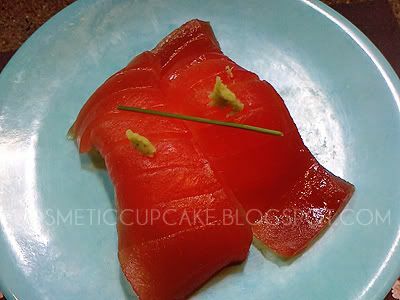 Assorted sashimi - this was demolished in about 2minutes. 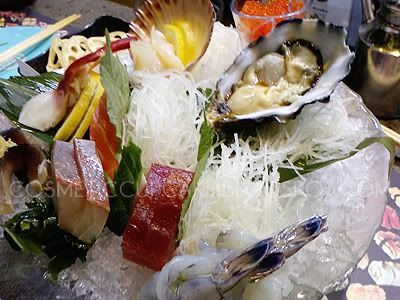 We have no self control when it comes to fresh juicy sashimi! 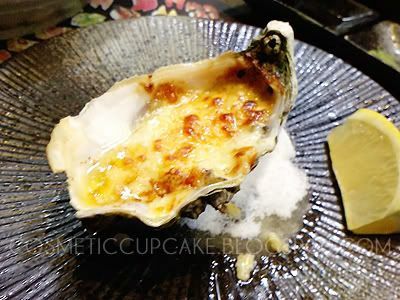 At this point I was full but the boy powered on with 2 serves of the cheese oyster large size (this smelt SOOOOOOOOOOOOOOO darned good!!) 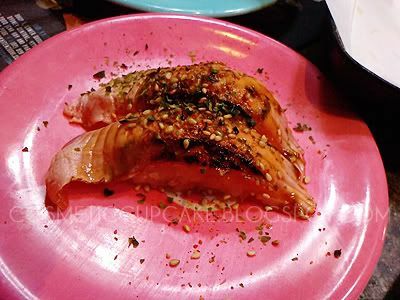 and seared salmon nigiri. Mr Mochi. I may be an adult but I still have a soft spot for cute plushies ok!! All in all a very productive day. Hope you guys had a great day! 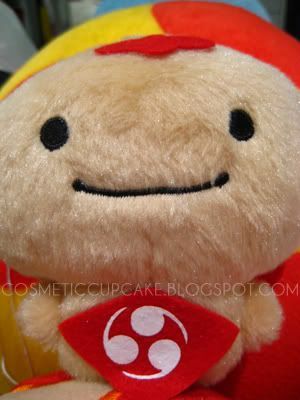 MOCHI PLUSHIE! So cute. I would have bought him too. I love Omochi. They had one which was like 5times his size which was EVEN cuter!